MANILA, Philippines - (UPDATED) Several local government units declared suspension of classes for Monday, December 4, 2017 due to the planned nationwide transport strike. On Friday, officials of Albay province and Guagua, Pampanga announced on social media the cancellation of classes for all levels that covered both the public and private institutions. "Suspension of classes at all levels on December 4, 2017 in both private and public schools except those schools located in the island and remote/far flung barangays/areas that will be determined by the Local School Authorities," the Albay Provincial Disaster Risk Reduction Management Council (PDRRMC) posted on Facebook. Meanwhile, Executive Order No. 23-series of 2017 of the Municipality of Guagua, Pampanga stated that there will be no suspension of work in the municipal office. In addition, "all available municipal government vehicles including barangay service vehicles will be used to serve and pick-up stranded commuters. Both color and number coding are temporarily suspended for all passenger motorcycles on the duration of transport strike." December 3 UPDATE: The scheduled nationwide transport strike on December 4 and 5 has been cancelled after the Transport group Pinagkaisang Samahan ng mga Tsuper at Operator Nationwide (PISTON) heard the appeal of Senator Grace Poe. With this, the suspension of classes in Guagua, Pampanga and Camarines Sur has been lifted. Meanwhile, the Provincial Government of Albay said in a statement: "Please be advised that the provincial order suspending classes tomorrow stays because PISTON Bicol through Ramon Excovilla, Executive Director said it will push through with the transport strike. News about the cancellation of the strike is only true for Metro Manila." 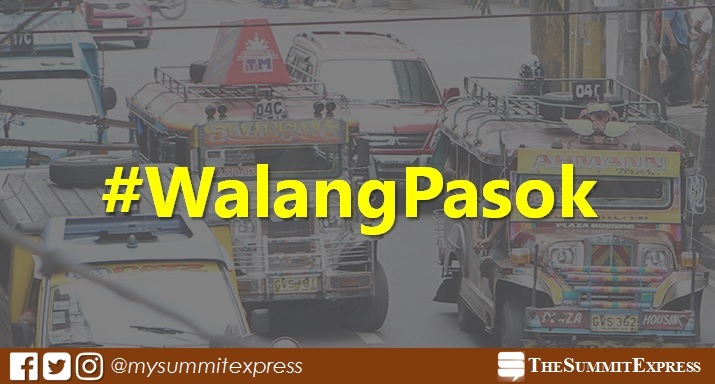 The protest of the militant group is to oppose the implementation of the government’s jeepney modernization program.